The QRadialGradient class is used in combination with QBrush to specify a radial gradient brush. In addition to the functions inherited from QGradient, the QRadialGradient class provides the center(), focalPoint() and radius() functions returning the gradient's center, focal point and radius respectively. See also QLinearGradient, QConicalGradient, and The Gradients Demo. 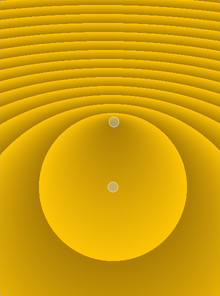 Constructs a radial gradient with the center and focal point at (0, 0) with a radius of 1. 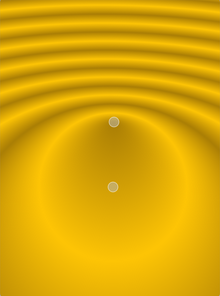 Constructs a radial gradient with the given center, radius and focalPoint. Constructs a radial gradient with the given center (cx, cy), radius and focal point (fx, fy). Constructs a radial gradient with the given center, radius and the focal point in the circle center. 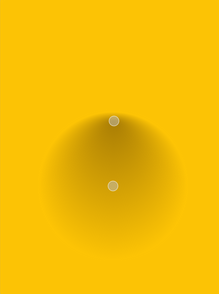 Constructs a radial gradient with the center at (cx, cy) and the specified radius. The focal point lies at the center of the circle. Returns the center of this radial gradient in logical coordinates. See also setCenter() and QGradient::stops(). Returns the focal point of this radial gradient in logical coordinates. See also setFocalPoint() and QGradient::stops(). Returns the radius of this radial gradient in logical coordinates. See also setRadius() and QGradient::stops(). Sets the center of this radial gradient in logical coordinates to center. Sets the center of this radial gradient in logical coordinates to (x, y). Sets the focal point of this radial gradient in logical coordinates to focalPoint. Sets the focal point of this radial gradient in logical coordinates to (x, y).